Episcopal Relief & Development invites you to join The Episcopal Church and our ecumenical partners, to participate in the #ForSuchATime movement. On the 21st of each month through December 2018, the community is called to pray, fast and act to fight hunger and poverty around the world. To participate in this critical movement against hunger, please share an image of your empty plate with an inspirational quote or prayer and use the hashtags #ForSuchATime #PrayFastAct. 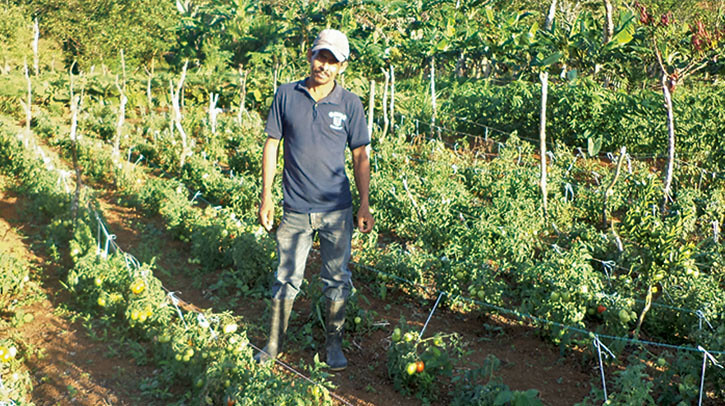 In this article, we look at the successful agricultural training program that is helping to alleviate hunger and end poverty in Nicaragua. As we concentrate over the next few days on problems of hunger around the world, it is important to be reminded of the good news as well as the challenges. 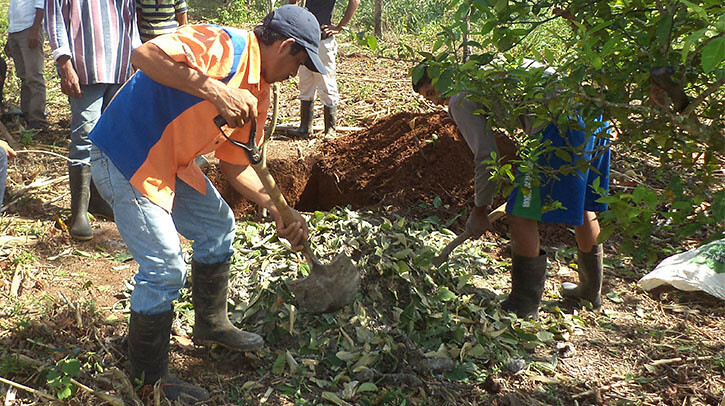 One success comes in rural communities around the Nicaraguan regions of Nueva Guinea and San Francisco Libre through our partner, the Council of Protestant Churches of Nicaragua (CEPAD). Through CEPAD programs, we support participants by helping them to improve their farms and enrich their food supply. Participating small-scale farmers learn how to make natural pesticides and fertilizers, how to prepare their land to withstand droughts and flooding and how to diversify and increase their crop production. The programs are changing lives for rural communities in a number of ways. Roque, a father of five grown children, lives with his wife Paula outside San Francisco Libre. He was selected for the CEPAD program two years ago, and has three community members training under him. Before the program, Roque had to walk long distances to get water for his plot, and his plot was poorly irrigated. Without proper irrigation and efficient farming techniques, he and his wife rarely had access to fresh fruits and vegetables. Because of the agriculture management techniques and methods he learned from CEPAD, Roque has built a micro-dam to store water for his farm. He learned how to make organic pesticides and compost from ingredients he has access to. The new fruits and vegetables he produces to eat and cook with bring variety to his family’s meals and increase their nutrition. CEPAD programs are deliberately structured to produce the long-term benefits that Roque experienced. Communities select volunteer farmers, called Community Agricultural Promoters, to receive training from CEPAD. Promoters in turn train community members, called disciples, in the methods they have learned. Changing agricultural methods can be a lengthy and sometimes discouraging process when huge results don’t emerge for a few years, but CEPAD has adapted their teaching program to promote long-term change. Program instructors set up demonstration plots on church land for the promoters to learn from, and then promoters set up plots on their own land to teach disciples. Farmers see the effectiveness of techniques, and commit to making lasting improvements and initiating agricultural and economic change throughout their communities. One Community Agricultural Promoter (PAC) is a 65 year-old woman named Eva with a love for small-scale farming. When she was selected by her community to participate, Eva was afraid that her age and being a woman would make the process difficult. Now, she thanks God for giving her the opportunity and strength to work. 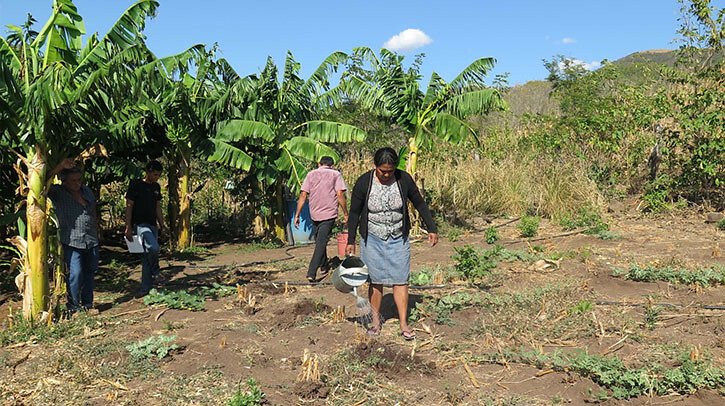 Through the CEPAD training, Eva learned how to make irrigation ditches so the rain would not erode her soil, and organic compost to strengthen her plants’ growth. Now Eva and her husband have a beautiful plot of land where she grows cucumbers, watermelons, squash, oranges, limes, tangerines and avocados – to name a few! Their nutrition is improving, and Eva has produce left over to sell for profit. For Eva, the CEPAD program was not only a way to increase her household’s food supply and income, but also to empower herself and her community. This is a sentiment echoed by many of the participants. Bismark is a pastor of the United Apostolic church in the Santa Fe community, outside of Nueva Guinea, where he lives with his wife and their five children. He was selected as a PAC by his community and he now participates in training programs, learning techniques to diversify and increase crop production, address environmental problems and conserve water. Bismark harvests plenty of fruits and vegetables to feed his family, and has enough besides to share with his neighbors and sell to buy cooking necessities. As a PAC, Bismark is also responsible for teaching community disciples the techniques he learned through CEPAD. “I had a good opportunity to train my disciples, and they are changing their old ways of production in their plots... They are recovering planting areas, and they can take advantage of their own plots, without any dependency on chemicals.” Bismark said. 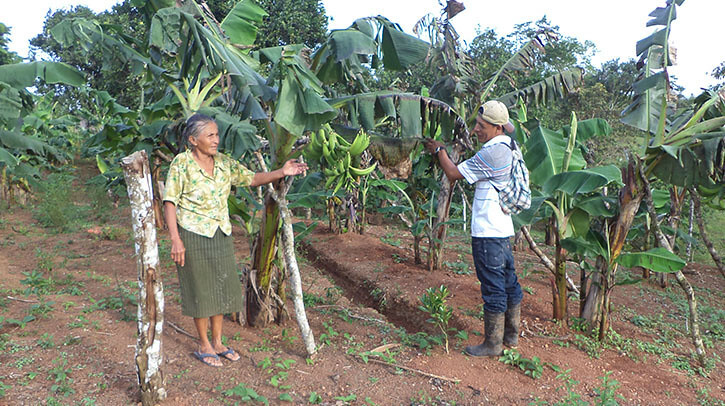 The spread of new knowledge is a welcome change for small-scale farmers in rural Nicaragua, where political instability and natural disasters have resulted in barriers to development for decades. Economic growth for rural communities is often slow or negligible, and the result is chronic poverty and hunger in much of the country. As a result, fostering community empowerment and sharing knowledge is a cornerstone of our agricultural work and longstanding partnership with CEPAD to support self-sufficient and autonomous communities. By connecting farmers in agricultural communities with resources and each other, together we are able to alleviate hunger and bring about the changes that Roque, Eva and Bismark experienced and will continue to pass on. Laura Lane-Reticker is an intern with the Marketing & Communications team at Episcopal Relief & Development. Top, CEPAD staff in Nueva Guinea; Middle 1, Farmer participants water crops from the micro-dam; Middle 2, farmer participants prepare organic compost under a tree; Middle 3, Eva and fellow Community Agricultural Promoter discuss what's working in the field; Last, Bismark poses amongst his sprouting tomatoes.